Mark Gilbert is a seasoned tech banker who brings 12 years of sales and underwriting experience at financial institutions. Prior to joining Espresso, Mark was at BMO, where he was the regional market leader of the bank’s technology banking practice for the Greater Toronto Area. In this capacity, Mark provided a mix of senior origination and deal structuring support, management of key sponsorship initiatives and coaching of tech account managers. He has financed technology companies across Canada, a number of which have been recognized via industry awards for their leadership and growth. Mark began his career at Chubb Insurance, providing tailored insurance products to the energy and resources sector. 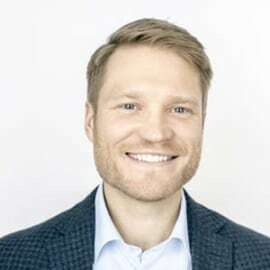 He has a passion for helping founders succeed, which is personified by his Advisory Board involvement in an Ivey Business School association called the Leader Project. The Project sends teams of Ivey grads to emerging regions around the globe to work hand-in-hand with young entrepreneurs to drive business growth.